Do Cats Like to Be Held? If you’ve ever scooped up your cat for a hug only to have him try to wriggle free, I’m sure you’ve pondered this! We cat parents know that cats are independent creatures and that they like things done on their terms. However, do they actually enjoy our cuddling sessions or do they play along in case we get offended? Well, keep on reading to find the answer and to learn how to hold a cat properly. I’m sure that those of you who have multiple have discovered that not all of them are fans of petting or cuddling. That’s completely normal because cats just like people have different personalities and preferences. So, some cats can’t wait for you to pick them up, while others will run in the opposite direction. The question is why, right? Here are five possible explanations. First and foremost, cats don’t like to feel cornered or restrained. Unfortunately, for some of them, your arms feel like a cage. It’s a hard pill to swallow, but it’s true. When you pick Kitty, she doesn’t realize that you want to cuddle her. Instead, she thinks you’re trapping her and she can’t go wherever she wants. That’s why Kitty jumps on the ground. Cats adore high places because they can observe their “territory” and everything you’re doing. However, they don’t like being high in the air if it’s not on their own terms. They feel vulnerable, and that’s why they want to get down as soon as possible. What’s more, all cats are excellent climbers, and when you lift them in your arms, they might consider this behavior an insult to their climbing abilities. Ouch! 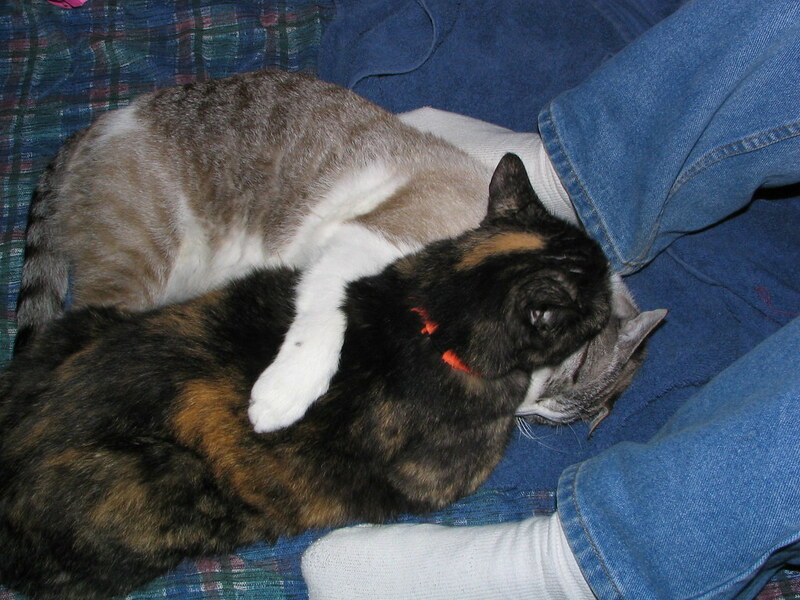 Another reason why a cat doesn’t like hugs is that she hasn’t been socialized properly. Yes, dogs are not the only creatures, which require socialization. Young kittens which haven’t had contact with humans will hiss and puff up their body because they regard humans as a threat. It will take them longer to get used to a human’s touch, and some of them might remain semi-feral. On the other hand, if you handle kittens from the moment they are born, you’ll see that they mature into cats that do not fear human presence and seek human company. So, if you have a litter of kittens make sure that you interact with them as much as possible. Unfortunately, some cats might be against your cuddling attempts because they’ve had a traumatic experience. For example, if you have a rescue cat with a history of abuse, she probably won’t be feeling very safe when you attempt to lift and carry her around. However, maltreatment is not the only negative experience we’re talking about. A trip to the vet or another time when you had to restrain the cat for its own good will make her fearful and suspicious. 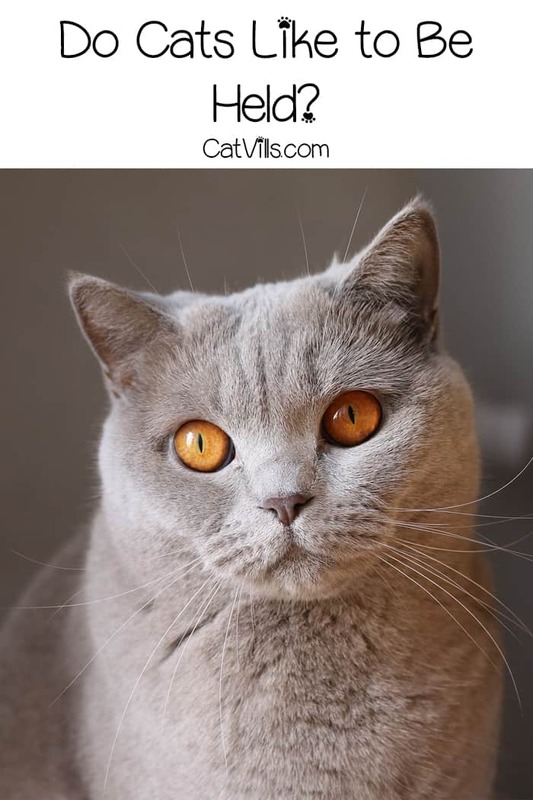 Sometimes, a cat which suddenly doesn’t like to be held might have a medical problem. That’s why any abrupt change in your cat’s behavior should send the warning bells. It might not be anything more than an upset tummy, but you should have it checked up immediately. How to pick up a cat properly? 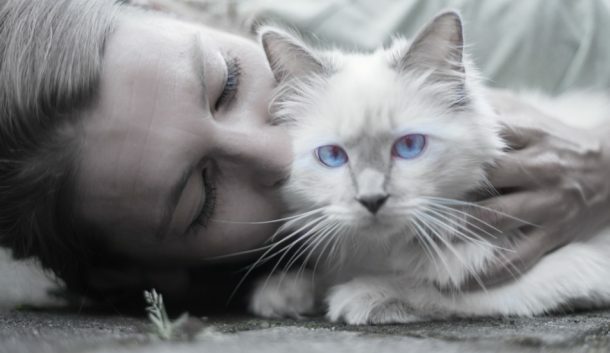 Of course, some cats love to be in your arms and can’t get enough of it. That’s because they associate you with safety and security. However, if your cat is not one of those, you shouldn’t fall into despair. You can teach your cat to like cuddling in your arm. To do that you have to know how to hold a cat properly. I’m sure that some of you think that it’s not rocket science. Take a moment to consider that maybe you’ve been doing it wrong the whole time and that’s why Kitty doesn’t like you holding her. Make sure that the cat is comfortable and in a good mood. When you pick the cat, support her feet with your hands. Do not let the paws hanging in the air because cats feel like they might fall. Keep Kitty close to your body so that she would feel content and secure. Avoid the temptation to place the cat belly-up like a baby. Some cats are all right with this position, but many are anxious the most vulnerable part of their body is exposed. Do not hold the cat tightly or you’ll scare her. My Ronnie is one of those cats that radiate strong dislike whenever I pick her up and cuddle her. She is also not a fan of petting unless I happen to have a piece of chicken in my hand, but that’s another matter. It doesn’t mean that she doesn’t love me, it’s just a perk of her character. So, don’t take it personally if your cat is like mine. What do you think? Do cats like to be held and why some of them hate it? Share your thoughts with us in the comments. I have been taking care of a ferral colony for several years now. Slowly and patiently earning there trust. One by one I have finally earned it. Some even run up to me for me to pick them up right away. They will meow until I give them attention. And these were all wild ferral cats that I trapped and TNR. You just got to earn your trust and when you do it feel awesome. I saw your tweet about animals and thought I will check out your website. I like it!